The Fibaro Smoke Sensor is a universal, optical Z-Wave smoke detector. Fire alarm is signaled by sound, visual indicator blinking and by sending Z-Wave control commands. 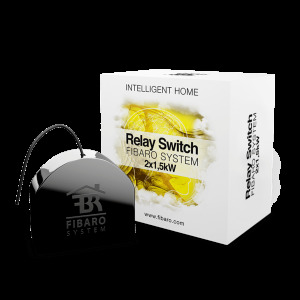 The Fibaro Smoke Sensor is designed to be placed on a wall or ceiling. 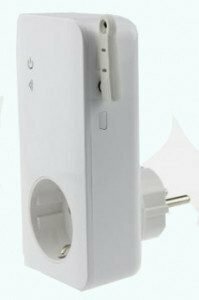 Visual indicator signals fire, operating mode and is used to see if device is within the Z-Wave network. 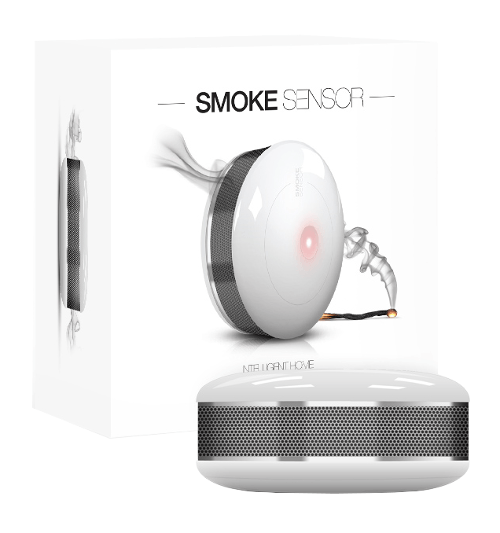 The smoke sensor is designed to operate in confined spaces, under normal conditions (lacking smoke, dust, condensed water vapor).